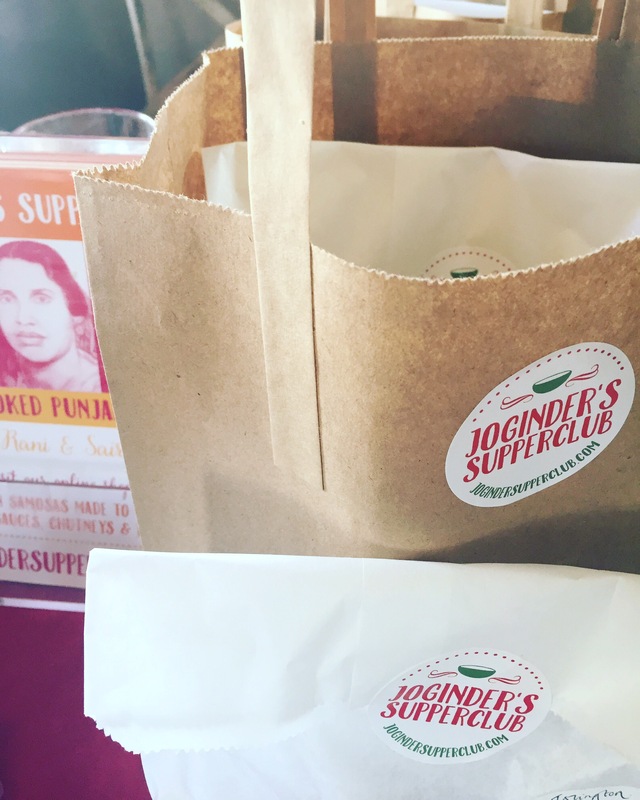 Joginder's Supperclub | Home Cooked Punjabi Food by Rani & Saira © Joginder’s Supperclub 2018 All rights reserved. We were hosting our last supperclub for 2018 and we were pleased to welcome a full table of guests, including a returnee and an old family friend. Once everybody was sat down and introductions were complete, early conversation started in the usual excited random manner. A brief comment on Brexit failed to stimulate any further comment apart from general boredom with the subject. One guest felt that Theresa May was doing her best and was beginning to sound like Maggie Thatcher as each day passed! The recent Bake-Off final proved more stimulating and one of our guests declared their intention to enter next year. We suggested trying some of our recipes for naan and roti bread in preparation for the technical tasks! We wish them the best of luck! As several of our guests had come down from Highgate the subject of celebrity guests was another conversation item. The floral tribute to George Michael is no longer there but his generosity to the funding of events in Highgate Village was well recognised by locals and his presence as a member of the Highgate community is still missed. Tufnell Park may be ‘down the hill’ from Highgate but it certainly can compete on the celebrity resident front. We have welcomed a few to our table but as many of our guests know, we like to be discreet so names will ever be mentioned! All of our guests, including several vegetarians, were enjoying the varied menu and both wine, beer and conversation flowed throughout the evening. Many thanks to all of our guests for all their kind comments in our guest book and hopefully we will meet again in 2019 as we celebrate our 10th birthday. Time has really flown by since we hosted our first supperclub on 14th November 2009 and we have worked out that nearly 1,000 guests have graced our table over the years. We would love you to join us in 2019 so please do keep checking in for new dates. In the meantime our new dates for January and February are Saturday 12th January & Saturday 2nd February. From all of us at Joginder’s Supperclub, we wish you a merry christmas and a happy and prosperous new year. See you in 2019 folks! More words from Pa Graham. 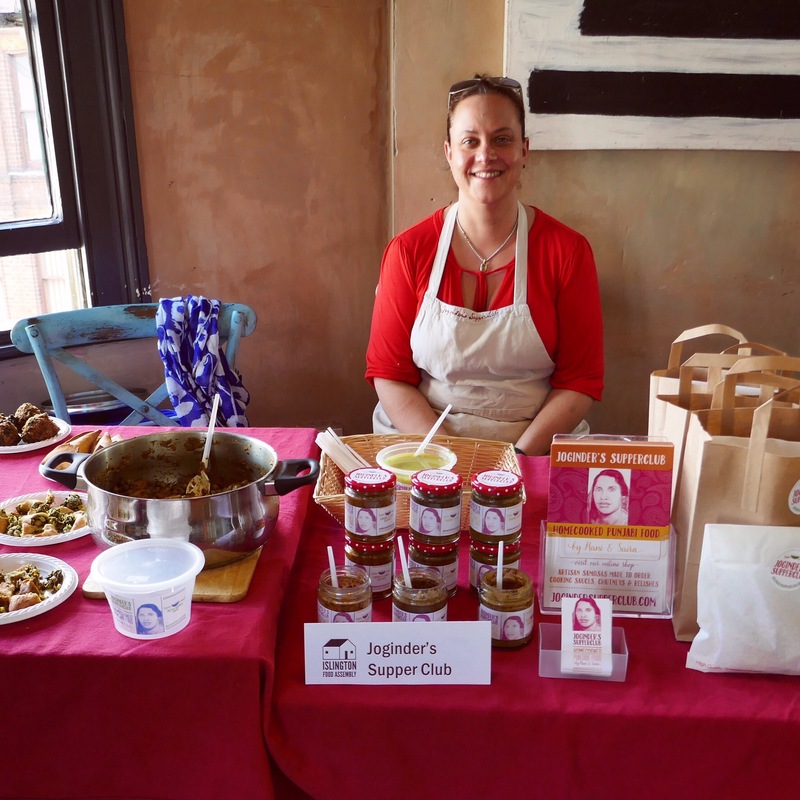 Our resident supperclub paperback writer…..
We had a full table for our supperclub on Saturday 6th October. A group of friends from Tottenham (when will the new stadium be ready?! ), a mother and daughter from Upper Holloway (is there a lower Holloway?…), a lovely lady from Muswell Hill (Toffs is still selling quality fish and chips!) and two friends from Richmond and Oxford. As everybody took their seats at the table one had the impression it would be a lively evening! Mother and daughter started the conversation with their visit to a cattery to collect two kittens. It was agreed that it would be a challenging but ultimately rewarding experience. The gentleman from Oxford was in the motor trade but could not afford to own the product he sold. The luxurious Aston Martin. It was great to see Jack and Eugenie leave for their evening reception in a legendary Aston Martin DB4! Conversation flowed as bottles were opened and the starters were served to get the evening started. A discussion of Toga parties moved seamlessly to the challenge of making friends in London, the challenge of getting on the property ladder and ultimately why London offers so much to people of all ages and cultures. The variety of dishes on the menu were enjoyed by all of our guests and once again the Mushroom Masala got a special mention. Many thanks to all of our guests for their kind comments and fabulous company. We look forward to meeting again at future supperclubs and we also look forward to welcoming new guests to our last two supperclubs of the year on the 24th November and 8th of December. After a summer recess, the first supper club of the new season was held on Saturday 1st September. We had 10 guests at the table, including a quartet from St Albans, a couple from nearby (their first visit to us) and two of our friends. After a glass or two of some bubbles, everybody was seated and chatting to each other and across the table, ready for Saira’s welcome briefing for the evening. One of our guests asked about the origins of the supper club and how it has evolved. It all started in November 2009 as a joint idea from Rani (Head Chef) and Saira (Sous Chef). The aim was to provide an authentic home cooked Punjabi meal at one table for a small number of guests usually, total strangers. 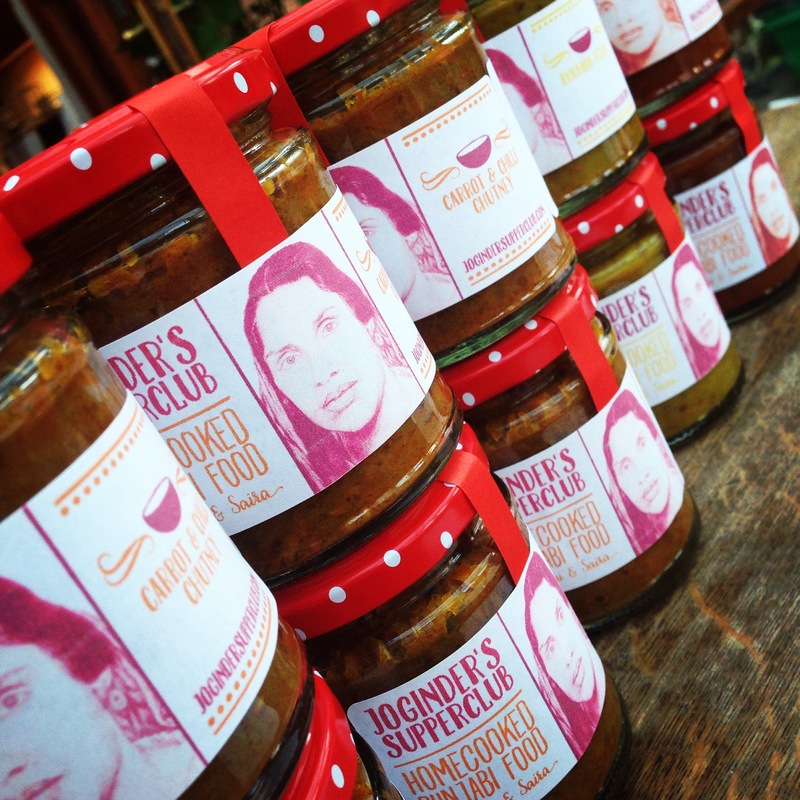 Our supper club is in memory of Rani’s mother, Joginder, who sadly died a number of years ago but would have loved to be in the kitchen with her daughter and granddaughter. She continues to be a great influence for Saira & Rani in their cooking and family life with our two sons, our daughter in law, our granddaughter and our extended families. Joginder with her granddaugther Saira. Over the years the concept has remained largely unchanged although the menu has been modified to provide natural gaps in the evening for a stroll in the garden, a tinkle on the baby grand piano in the living room or a chat with Rani & Saira in the kitchen. We now seat a maximum of twelve guests around the table, cosy not cramped. As per usual early chit-chat was fairly random. There was some discussion about supper clubs and the general opinion was that they seem to be less common now – at least in certain areas of the UK. One of our guests regaled us with tales of the life of a bus driver in Brighton and how he dealt with difficult passengers. He went on to describe experiences at Glastonbury as a regular reveller in the comparative luxury of a camper van (with a shower!). Our son went to Glastonbury in 1998 when Blur were top of the bill and it rained most of the weekend. On his return home he had to be hosed down at the front door and sent straight to the bathroom and his muddy clothes straight to the laundrette!. For some reason the conversation then turned to high quality television….more wine was poured as most of us glazed over at this stage but the conclusion was that to appreciate high quality definition you need to have high quality eyesight (not many of us do!). Everybody was enjoying the food and conversation continued to flow along with the wine and lager. At the end of the evening, our guests left extremely full but happy from the variety of food served up throughout the evening! 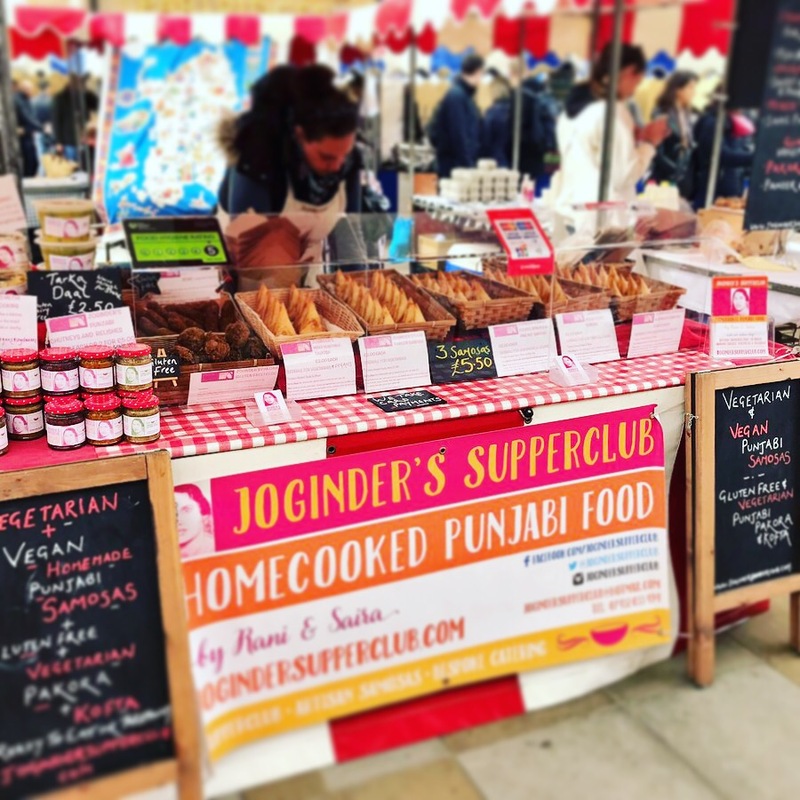 Our next supper clubs are to be held on 15th September and 6th October with more dates for November and December coming soon….We look forward to welcoming you to Joginder’s Supperclub soon. Order your weekly produce from us this summer! We have updated our weekly produce list for the summer. As many of you know we offer a weekly delivery service to our local customers who cannot make it to our weekend markets. 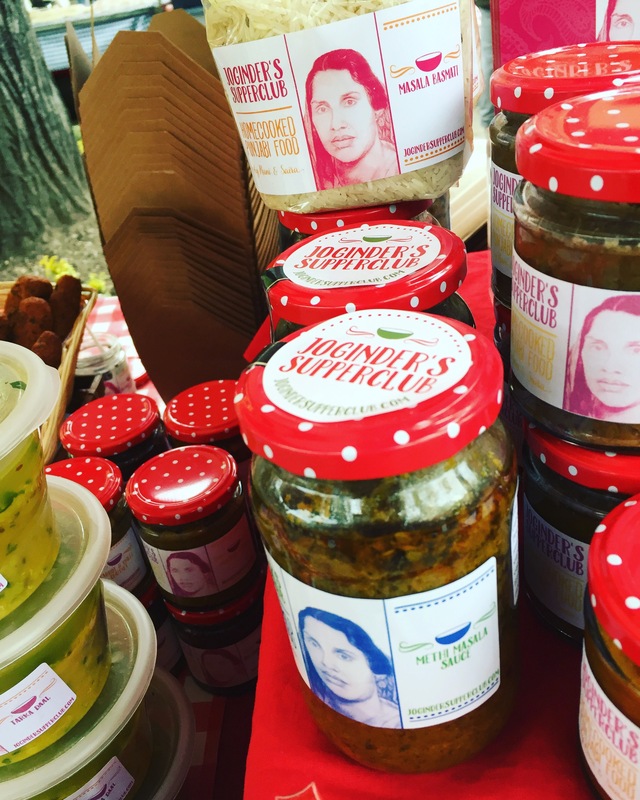 We have a number of new delicious dishes on offer which aren’t available at our food markets so just drop us an email at jogindersupperclub@hotmail.com for a copy of our produce list. You can contact us by email or phone to place your orders. 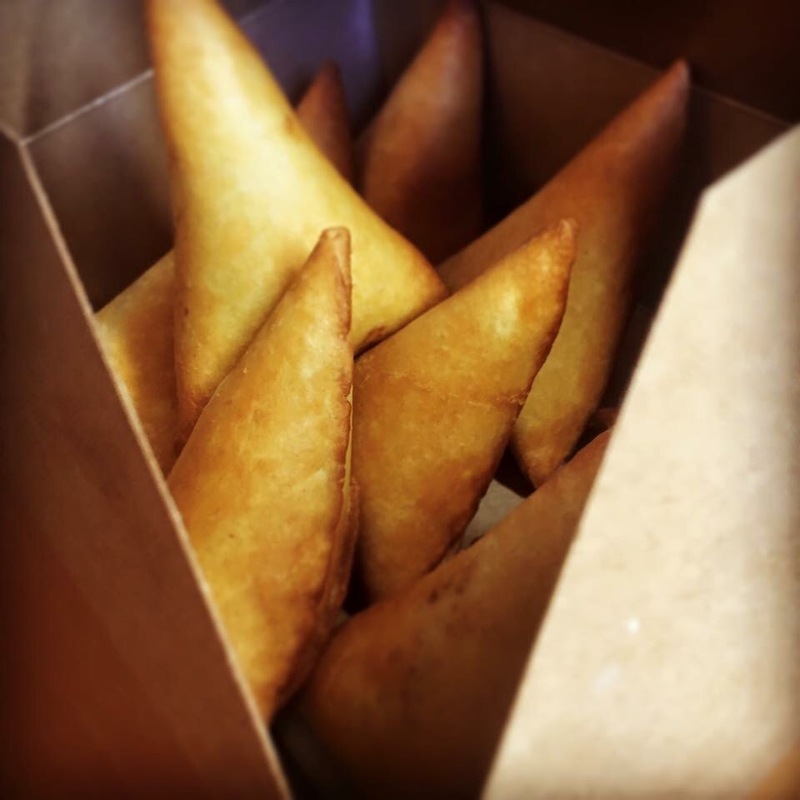 Order by 12pm on Thursdays with a free delivery service between 5-7pm on Fridays and 10-11.30am on Saturdays. New Supperclub Dates Coming Soon! Hello folks! We will be adding lots of new supper club dates soon so please do join our mailing list to receive yours first or follow us on social media for updates! Here is a reminder of all of our food markets this month! We will have some new vegetarian lunch options on the menu this month too! 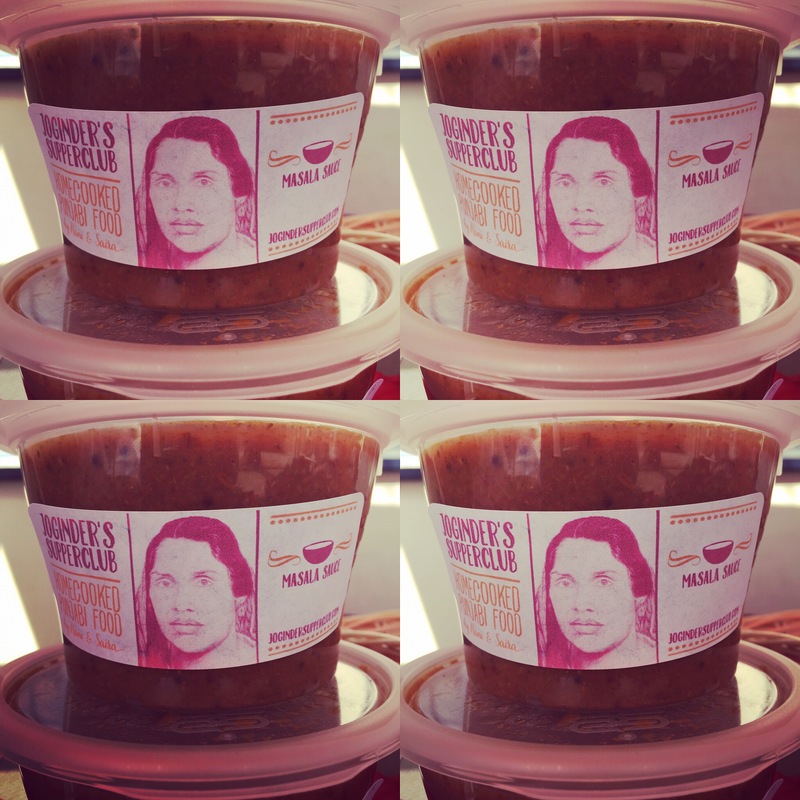 🌶PARTRIDGES FINE FOOD MARKET, Duke of York’s Square, Kings Road. 🌶TOTTENHAM GREEN MARKET, Town Hall Approach, Tottenham. 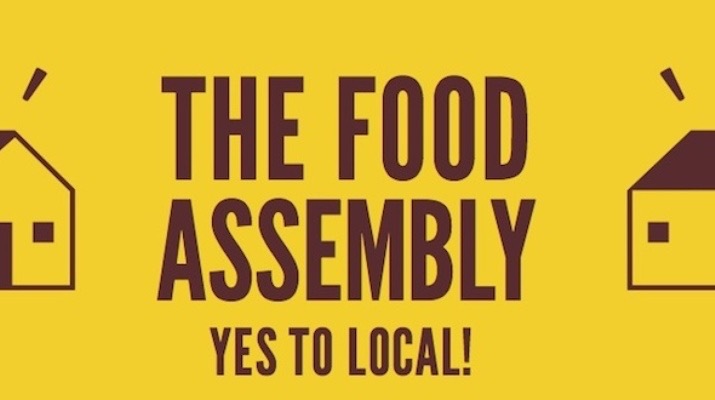 Don’t forget that you can now place your weekly orders through the Food Assembly too!